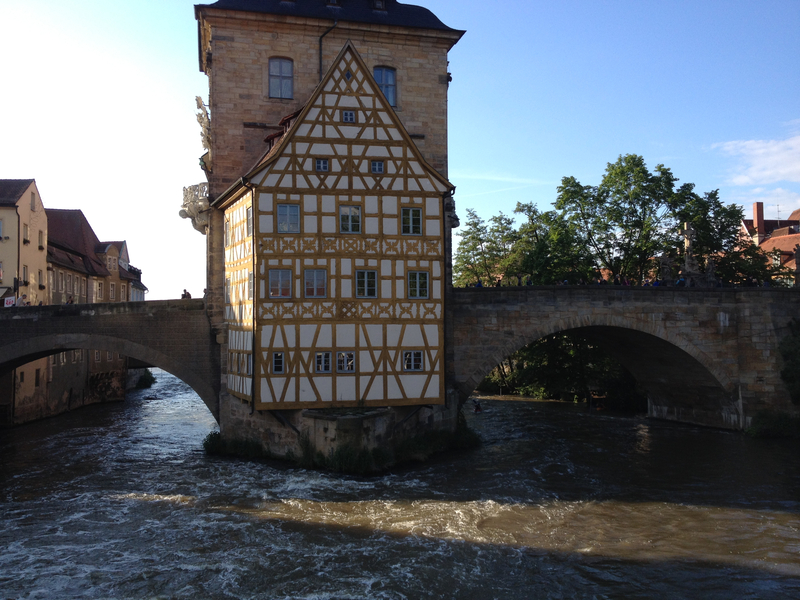 From Munich I took the train to Bamberg, a lovely little town, which belongs to the Unesco world cultural heritage. 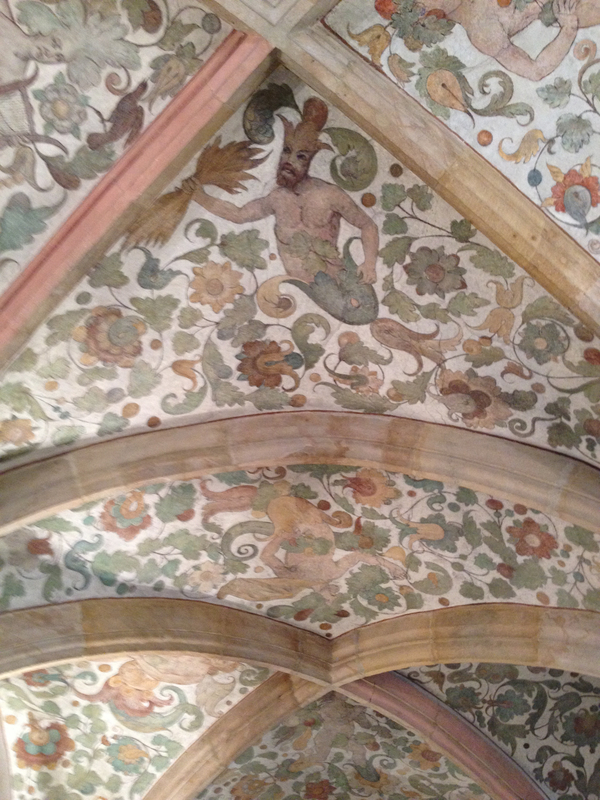 As my mind was preoccupied with the conference, which I attended there, I did not take many photos. Only a handful with my cell phone. However, I did photograph a very interesting dessert and I will tell you more about it here! 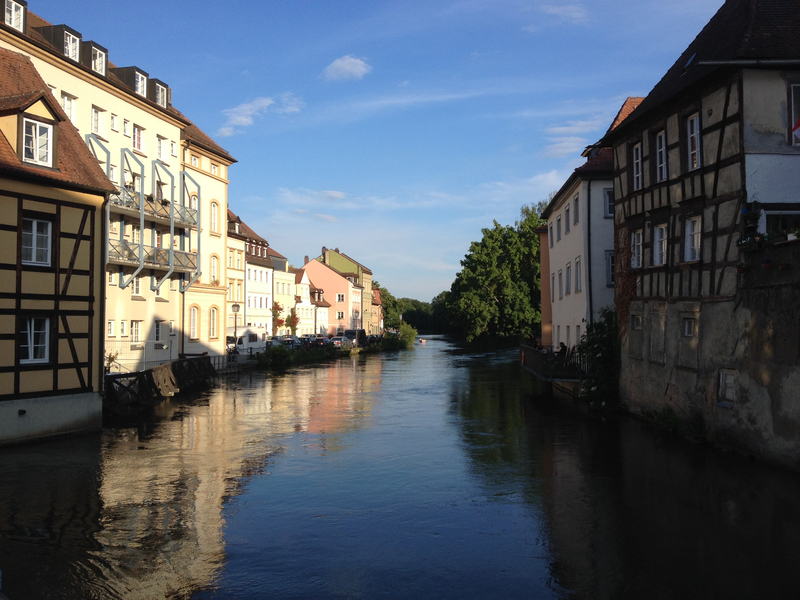 Bamberg is famous for its beer. The town is filled with breweries and taverns (and on weekend evenings it is also crowded with drunk tourists and locals). The local specialty is the so-called ‘Rauchbier’ (lit. smoked beer). I tasted one and it was alright – from someone who usually does not like beer, that’s high praise! Beer has also found its way into the local cuisine, it is used to flavor different kinds of meat. On the last evening, when we met for dinner at the Restaurant ‘Eckerts‘ (excellent, organic food!) I discovered that beer is even incorporated into dessert! 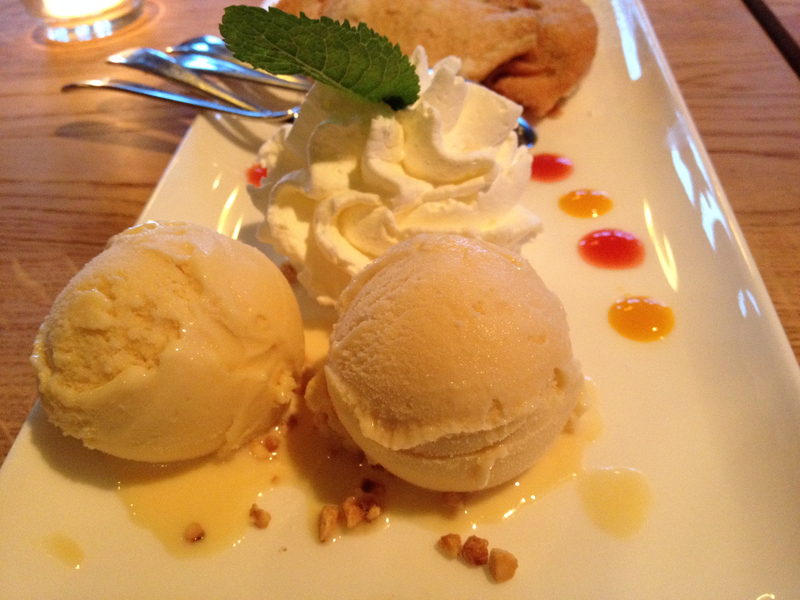 The restaurant offered a promising sounding dessert consisting of baked elderflowers served with beer ice cream. The baked elderflowers had only a hint of the typical elderflower taste and even a bit of a savory note. The beer ice cream also just had a light note of beer. Everything together was just delicious. Should you ever see something like this on a menu, try it! As I am also a huge fan of cocktails with elderflower syrup or liquor as well as elderberry lemonade, I know that at some point I will have to have an elderflower tree in my garden!